In public relations, every day brings something new, unexpected or different. However, one thing that remains the same is the relationship between PR and news media that can be critical in securing successful media placements or diffusing crisis situations. In the 20+ years I since I started my career, I’ve worked with the news media nearly every day to help position my clients. While the media landscape has certainly changed, the basic fundamentals of working with the media remain constant. 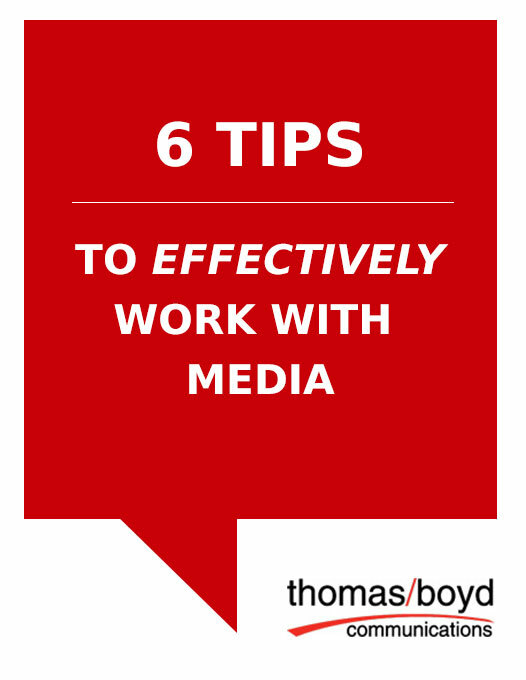 Follow these tips on how to effectively work with the media. If you receive a media inquiry, drop everything and get back to the reporter immediately. You know how the old saying goes – if you snooze, you lose. If reporters don’t hear back from you in a timely manner, they will move on to the next source and you’ll miss your opportunity. Be selective when making phone calls and pitching stories as not every story idea or pitch warrants a follow-up call. Reporters are extremely busy and can’t receive phone call pitches for every story. Use your judgment and know when to call reporters. If you get a reporter on the phone, ask first if he/she has a few minutes. Take the time to research the right reporter to pitch a story. Read recent articles and blogs to make sure it’s the right fit. Before you hit “send,” follow this checklist. Is your pitch newsworthy? Is your story ready to go if the reporter expresses interest? Is your story idea well thought out? Is your subject matter available for an interview? Is your pitch well written, to the point and concise? What’s your compelling visual if you’re pitching TV? It’s a give and take …. not take and take. Building relationships with reporters takes time. As with any relationship, don’t always expect to get something in return. Offer good ideas, sources and relevant information. The reporter may choose to pursue your story idea, file it for future use or pass on the idea. Know when to let go… no means no! Don’t become a stalker! When a reporter shoots down your story idea, know if and when to give it another shot.